It’s quite common for people with the INFP personality to mistype themselves, especially when taking a personality assessment for the first time or reading basic descriptions of the personality types without understanding the functions. When I first took the official MBTI assessment, I was mistyped as an INTJ. Having taken the test again online, I mistook myself for an INFJ. Here, I will explain some of the common types that INFPs have been mistyped as (and vice versa), to give a better picture of the unique qualities of an INFP personality type. One of the key ways to tell the difference between these two types is that INFPs are more individualistic than INFJs. INFPs are much less comfortable with the notion of giving up our individuality and beliefs to seek harmony. That’s because it’s important for us to stay true to our values. On the other hand, INFJs are described as social chameleons because they often compromise their individualism to be accommodating to other people. 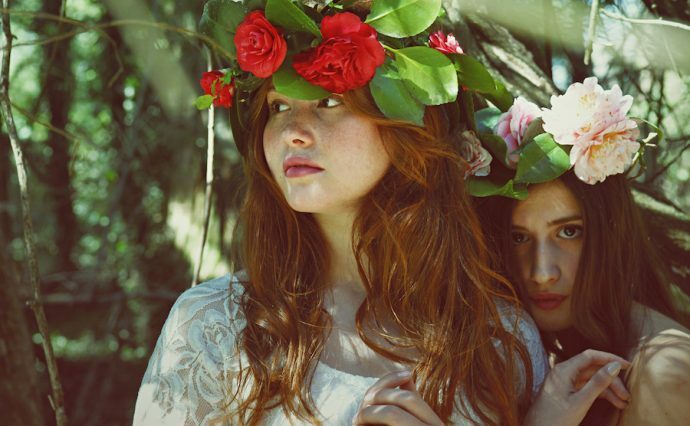 As a result, INFJs may appear to be quite extroverted at times and blend in with their social surroundings, mirroring other people’s behaviors to make everyone feel comfortable—which is not usually the case for INFPs. INFPs are also less concerned with the external world and its complexities than INFJs. INFPs are compelled by an intense feeling to seek this inner expression and truth that’s invisible on the surface and independent of our external realities. What’s most important for INFPs is to feel personally connected to and in tune with whatever decisions we end up making. The decision itself is less important than the fact that it has been made on our terms, since our volition enables us to express who we are. For this reason, we strongly revolt when our personal feelings have been overlooked, as we weren’t given the freedom to choose. For instance, INFPs abhor working in an environment that is too rigid or being a part of an organization that has too many rules and protocols. We also strongly dislike being told what’s in our best interest because we would rather make this discovery on our own. Another noteworthy difference between INFPs and INFJs is that INFJs absorb emotions, whereas INFPs mirror them. INFJs use Extroverted Feeling (Fe) to tune into other people’s feelings. They even absorb other people’s emotional states and experience their feelings as if they were their own. Because INFJs are often so focused on other people’s feelings, they may be oblivious to their own feelings. In contrast, INFPs are very self-aware because of Fi. We can feel other people’s emotions by mirroring them within ourselves. When we see a person under distress, we may experience those feelings just as strongly, because they may trigger certain memories that are vividly re-experienced. INFPs and ISFPs (Fi-Se-Ni-Te) are quite similar and can be easily mistyped for one another. Both types have Fi as their dominant function, which makes them highly value personal expression and individualism. The main difference between INFPs and ISFPs lies within our auxiliary function. INFPs use Extroverted Intuition (Ne) as our auxiliary, which enables us to pick up on and interpret possible meanings behind external data. As a result, we spend much more time in our head. We like to philosophize, reflect on our experiences, and may be oblivious to what’s going on around us. On the other hand, ISFPs use Extroverted Sensing (Se), which makes them highly observant of their immediate physical environment. ISFPs prefer to live in the moment. They are usually very aware of their surroundings and are always finding ways to express themselves in their physical environment, whether it’s through art, fashion, or even how they walk. When it comes to the arts, INFPs are fascinated with meanings, patterns, and symbols, whereas ISFPs have a more realistic attitude towards the world and are less interested in entertaining abstract ideas. ENFPs (Ne-Fi-Te-Si) often mistype themselves as INFPs, because they are considered to be one of the most introverted types among the extroverts. They also have similar functions to INFPs, except their dominant and auxiliary are reversed. ENFPs like to partake in the excitement of the external world, much more than INFPs; they continually seek new ventures and opportunities, hoping to inspire possibility. They are also more outgoing, whereas INFPs are much more reserved and need time to warm up to people. As INFPs, we prefer to explore our inner rich caverns, rather than explore the physical world, so that we can be in touch with our true selves. In doing so, we run the risk of losing touch with reality. On the other hand, ENFPs may run the risk of losing touch with their personal feelings, after spending too much time with all their endeavors. INTx (i.e., INTPs and INTJs) may also mistype as an INFP and vice versa because they are all introverts who like to think conceptually and rationally. When I took the official MBTI, I first mistyped as an INTJ, since I can be quite logical and goal-oriented at times. Having said this, I also know quite a few people who aren’t too sure whether they’re INFPs or INTPs. Let’s start with INTPs (Ti-Ne-Si-Fe). Similar to INFPs, INTPs also have Ne as their auxiliary function, which they use to explore the outer world. The main difference between INFPs and INTPs is that INTPs have a dominant Introverted Thinking (Ti); they are primarily concerned with making sense of the world, within a logical framework such as understanding how a computer works. On the other hand, INFPs have a dominant Fi, and are primarily concerned with making decisions that align with our personal beliefs and moral framework. For instance, when it comes to making decisions, we’re more concerned about what’s right than what’s most logical. I read somewhere that INFPs and INTPs are similar in a way, yet very different. You can say that we see the same world, but from different angles. INTPs may also mistype as INTJs (Ni-Te-Fi-Se) and vice versa, but these two types are quite different. INTPs are more interested in analyzing a problem and discovering where the solution lies, rather than carrying out their ideas; in contrast, INTJs have Introverted Intuition (Ni) as their dominant function and are driven by their inner vision with a focus on realizing their goals. In other words, INTPs are more interested in developing and understanding theories, while INTJs are more driven to put theory into practice; meaning, INTJs want solutions that work. This is an excerpt from The INFP Book; it is republished with permission from the author. 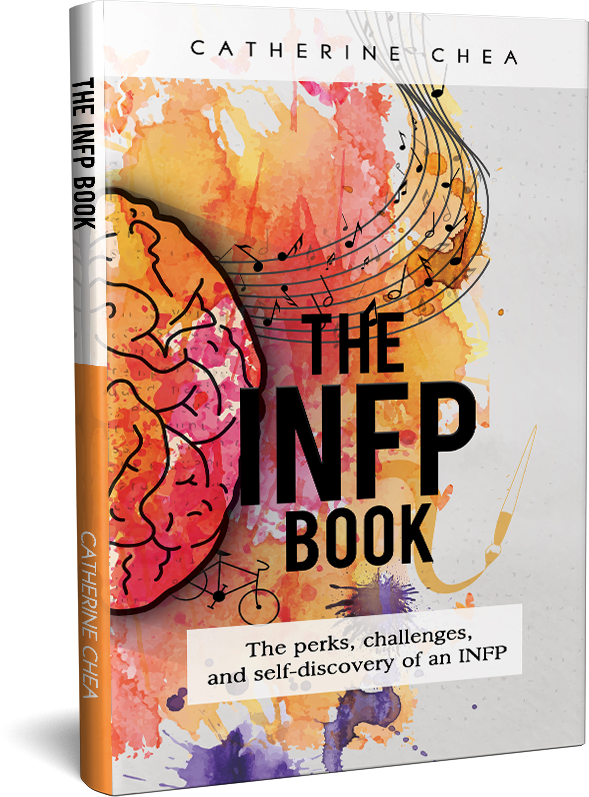 You can find The INFP Book on Amazon. Still not sure what your personality type is? We recommend this free personality test.